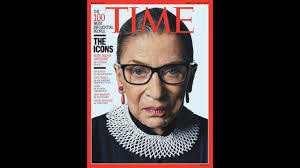 Women's Week Movie Night- "RBG"
Name: Women's Week Movie Night- "RBG"
The 2nd Annual Women's Week Movie Night will take place on Monday August 20th @ 630PM @ Morgan Hill Community & Cultural Center. 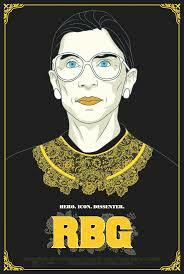 The featured movie will be "RBG" a documentary of the legal legacy and pop culture icon Ruth Bader Ginsburg. In 1993, she became the second female justice of four to be confirmed to the court today. 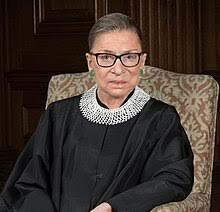 Ginsburg started law school at Harvard, one of the few women in her class, and later transferred to Columbia Law School tieing for first in her graduating class. She was a professor at Rutgers School of Law and Columbia Law School, as one of the few women teaching civil procedure. Much of her legal career was spent as an advocate for the advancement of gender equality and women's rights. Ginsburg co-founded the Women's Rights Project at the American Civil Liberties Union and served as the ACLU's Director. Movie tickets are $5 per person in advance or at the door. Popcorn, candy and soda available for purchase during the movie. Popcorn, candy and soda available for purchase onsite.